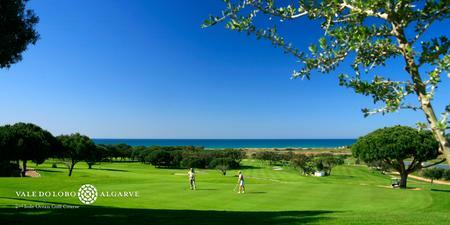 This is perhaps the longest established and best known resort in the Algarve. Its varied selection of luxury villas and apartments are interspersed amongst acres of spectacular woodland and in and around 36 holes of golf. It is a self-contained complex with its own beach concessions and excellent general amenities which include a large supermarket, restaurants, shops, leisure centre, night clubs and bars. There are over l,000 properties of many types and styles. Fronting onto the beach is a large cobbled square (known as the Praça) which serves as a delightful meeting place and where one can stop and enjoy light refreshments or take a meal at one of the surrounding restaurants. There is a very large rotunda swimming pool near the Praça, however access to this is only possible on payment of a local charge. Also located within the development is a large Tennis Centre, which has 14 courts. Here there is tennis at all levels from coaching for beginners to championship tournaments. The Royal Spa and Wellness centre at Vale do Lobo offers many weekly activites from fitness to complete relaxation. We have a large selection of accommodation in Vale do Lobo ranging from one bedroom apartments to 5 bedroom luxury villas. The apartments vary greatly with regards to furnishings and features and this tends to show in the price. Also some of the accommodation has tennis centre membership include with the property. The tennis centre offers access to an outside pool, gym, shop and discount tennis courts and coaching. 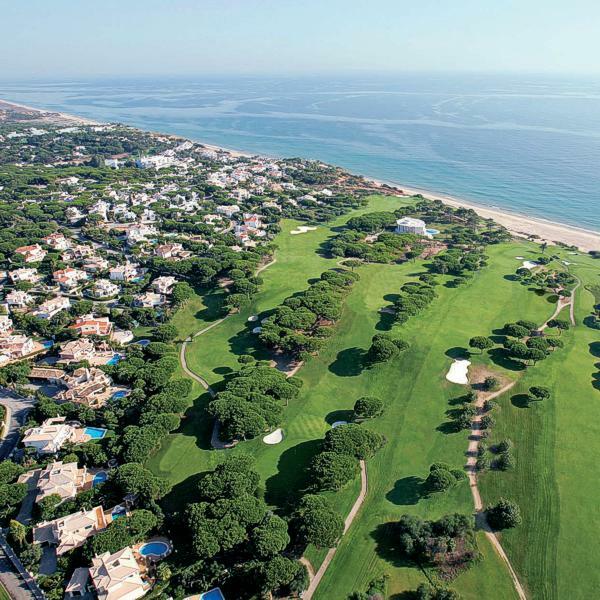 When choosing accommodation in Vale do Lobo you want to check the distance's from all these facilities. We have arrange of town house and villas directly opposite or close by to the tennis centre. Generally properties in the 8 to 9 hundreds are located in what is called Tennis Valley Also this area of Vale do Lobo is neighbouring the popular resort of Dunas Dourauds. A 15 minute walk from tennis valley brings you to the beach. Where ever you are staying in Vale do Lobo it is advisable to hire a car. The resort also has two wonderful golf courses whose fairways intertwine with the many of the villas. There is a main road that runs right through the centre of the resort, starts at the north end and runs right down to the beach. Fronting onto the beach is a large cobbled square known as the Praça, which serves as a delightful meeting place. There are pubs, bars, pizzaria, restaurants, news agents and night clubs. Accommodation around the Praça and on the main road can be a bit noisy in the height of the season. Just behind the Praça is the Le Meridien Dona Filipa Hotel. Most of our 1 to 2 bedroom properties are either one or two storey apartments or town houses. All have have sun terraces and balconies and some have seaviews. The villas tend to be 3 or 4 bedroom with private pools. In the new zones of Vale do Lobo the accommodation is built to a very high standard. Either situated off the fairways or close to the sea. They all have air conditioning and modern kitchens. Wherever you stay in Vale do Lobo always check the exact location with our reservation staff. Maps of the resort are available on request.